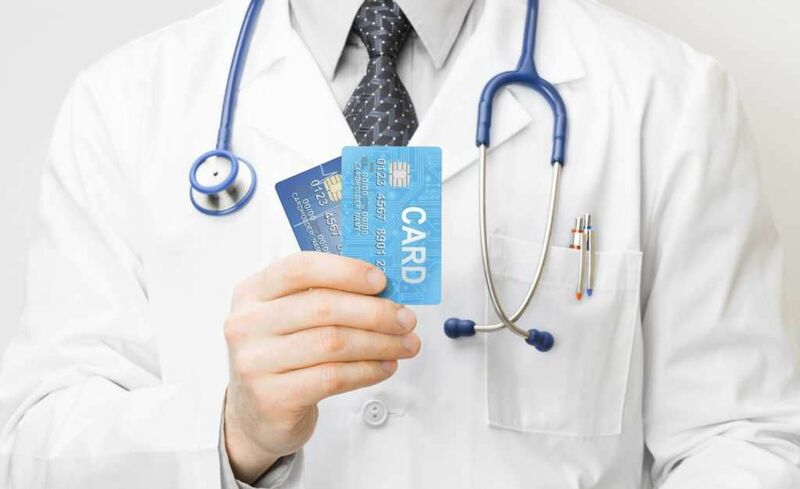 Healthcare credit card that helps address the burden of paying urgent, up-front medical costs. CareCredit is a credit card which can be used by individuals to pay accredited healthcare providers for required insurance co-payments or elective medical procedures that are not covered by insurance plans. It is a short-term financing option offered to patients, one that charges no interest as long as certain criteria are met and the balance is paid in full within a stated time frame. The card does not replace medical insurance policies. It is instead designed to help individuals manage healthcare expenses that are not covered by their insurance plan. Just like ordinary credit cards that are used to purchase basic necessities, CareCredit works in a similar fashion by assisting an individual paying for out-of-pocket healthcare expenses incurred when visiting a medical provider. Over 175,000 healthcare providers across the US accept CareCredit and offer medical services including vision and dental services, as well as pharmaceutical purchases. The card’s application is available online on the CareCredit website and can also be filled out by calling a customer care representative. Once the application is approved, the account holder can use the card multiple times, as long as the purchases are within the individual’s approved credit limit. Options to pay the card off are 6, 12, 18, or 24 months financing with no interest charges if paid in full within the promotional period and if a $200 minimum in purchases has been made. In addition, an extended 60-month interest-free financing period is offered to pay for purchases of $2,500 and up. Payments can be made online or by phone, using a checking account or debit card. What Medical Procedures and Services can be Paid for with CareCredit? There are numerous health clinics, hospitals, dental centers, veterinary clinics, and pharmacy stores that accept CareCredit. The list of accredited health providers can be found on the card’s official website. What are the Pros and Cons of Using CareCredit? CareCredit is a convenient tool that primarily helps individuals who have minimal health insurance and must pay up-front costs for potentially expensive health and wellness procedures and treatments. The benefits of having the card aren’t limited to just the account holder, as the card can also be used by extended family members and to pay for pet medical care. While there are advantages of using the credit card, interest and fees incurred can sneak up on the account holder. CareCcredit advises consumers that only paying the minimum amount that is due on the account every month may not pay off the full balance before the availed no-interest promotional period expires. Individuals who do not pay off purchases within the interest-free time period may incur expensive finance charges. If not cautious in managing CareCredit bills, significant expenses may be incurred from the card’s associated fees.